Like us on Facebook for discounts and fun! Follow us on twitter for updates and deals! The purpose of this e-mail is to let all of you know that our shop lease is up and unfortunately we will not be able to renew the lease. It has been just over 5 years now of a rewarding adventure we have thoroughly enjoyed and we are incredibly grateful for all the support & patronage. We WILL however be keeping the business going in another way. Spike's Treats will now be a home-based delivery service. We can and will still get all the types of items we did have in store; however I anticipate that we will be delivering mostly food, packaged treats, and fresh-baked treats to our regular and special order customers. There will be no charge for this service for local delivery. Our shop kitchen is being set up in home as we speak to keep up with all our regular baking & special orders including birthday cakes, etc. Deliveries will be made in Fountain Hills; however we DO have some customers in the Verde's, Scottsdale, & Mesa in which we can discuss delivery &/or pick up options. It is also POSSIBLE that we will be considering getting into a new shop location within a few months; however, the business WILL be running this new way at least for now. Regular customers will also be getting a phone call &/or message w/ regard to also making arrangements for their next order/delivery. However, IF I have missed you &/or you are interested in placing a food, treat, or bakery order (or for anything you have seen in our store for that matter), please return e-mail me here/pm and I will also give you a new contact phone number. We will be having a garage/yard sale THIS COMING weekend (Fri June 3, Sat June 4, & Sun June 5 from 7 a.m.-noon.) There will be many items from the store (collars, leashes, harnesses, beds, supplements, breed magnets, clothing, costumes, accesories, greeting cards, travel case, even some canned food). We will also be selling items from store like wooden shelving, metal shelving, display racks/shelves, 48" inch flat screen tv, dvd player, freezer, refrigerator/freezer, computer chair, table(s), table cloths, outdoor heat lamp, bar stools, adorable steel display dogs, outdoor bench, & much more. Thanks to all of your for your patience & understanding w/this transition and we hope to continue serving MANY of you! "LIKE" & FOLLOW US ON FACEBOOK!! We will be closed on Sat, May 28. Always closed Sun/Mon. JUST ADDED at Spike's Treats by new trainer in town Gerard Schaffner!! 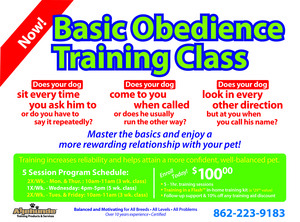 Basic Obedience Training Class!! Master the Basics and enjoy a more rewarding relationship with your pet! 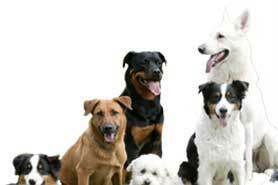 Training increases reliability and helps attain a more confident well-balanced pet. Gerard is working w/Rocco and I and we are making great progress that I personally am very happy with! He definitely gets the Spike's Treats endorsement! Class(es) times and dates will be decided as we have people sign up. 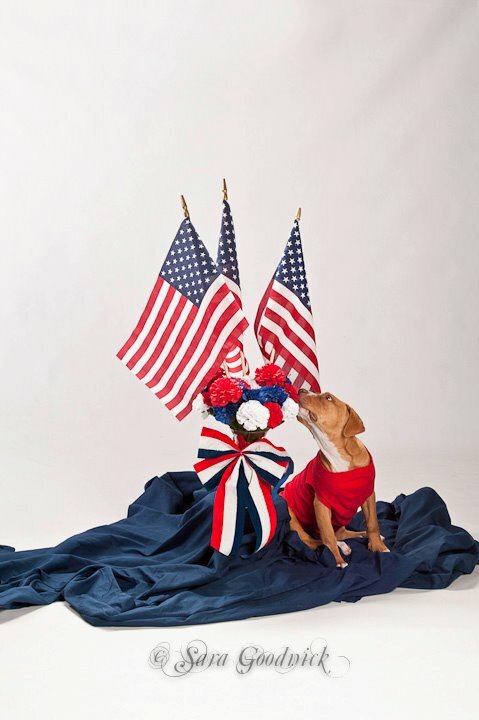 NEW at Spike’s Treats… Dog Training and Behavioral Management Solutions! From the basics to leash pulling, jumping, to aggression... Allehunde can provide you with a program or session to help you get results. A reliably trained pet is something we all strive for. Achieve the results you’ve always wanted and build a more rewarding relationship with your pet today! Come visit Spike’s THIS Saturday, (4/23/16 from 10am-12pm) and meet the trainer. There will be a FREE Q & A, treats, and other great handouts! Additional Q&A date is 4/30/16. Free consultations can also be coordinated through Spike’s Treats or by calling Allehunde Training Products & Services at 862-223-9183. $2 OFF Primal Pet Foods​ Goat Milk now at Spike's Treats - "The Natural Choice for Pets"​... w/coupon (in store), while supplie & coupons last. Supercharge your pet's food w/Primal Goat Milk! 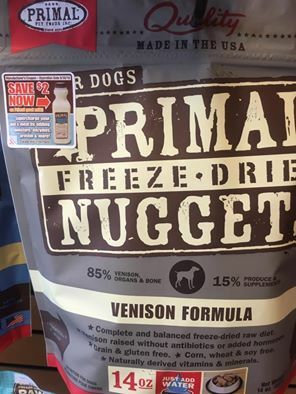 A great way to rehydrate Freeze-Dried Formulas! Primal Goat Milk provides hydration, contains probiotics, aids digestion, supports food transitions, & much more! We are HUGE supporters of Raw & Primal Raw at Spike's Treats & can help educate you on the endless health benefits of it! My dogs' primary diet FOR SURE!! DOG TRAINING IN A FLASH-- COME MEET THE TRAINER SAT! 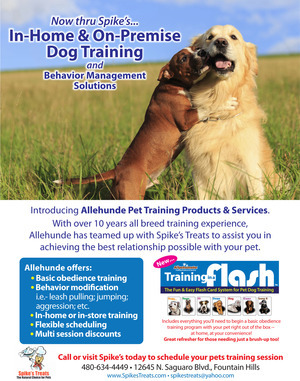 Allehundde Training Products & Services will now operate in conjunction with Spike's Treats to bring you in-home or on-site training solutions for all of your pet dog training needs. Come visit Spike’s Saturday, 4/9/16 from 10am-12pm and meet the trainer. There will be a FREE Q & A, treats, and other great handouts! Spike's Treats will be CLOSED THIS SATURDAY, MARCH 19. Due to the Trump Political Rally that we just found out about (which will be right here at our Fountain Park), we are closing due to the very busy nature of the town and lack of parking for our regular customers. Please try to plan ahead and pick up any items you may need by closing tomorrow night (Friday, 6:00 p.m.). If we can be of any assistance to you, please call the store during business hours so we can make make arrangements (480-634-4449). 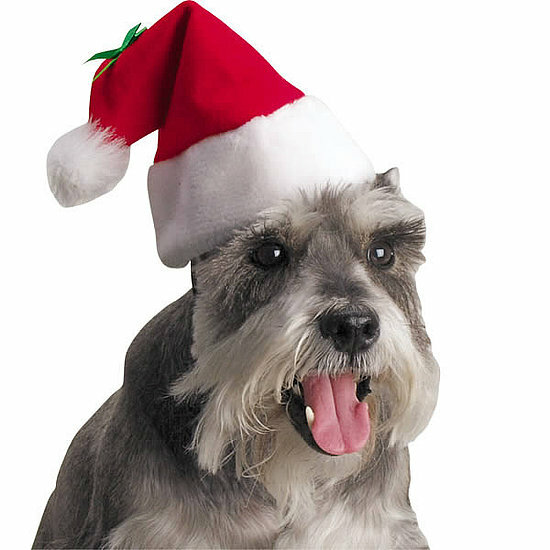 Spike's Treats will be closing tomorrrow (Christmas Eve) at 12:00 noon for the Holiday weekend. Please let us know if there is anything we can do to assist you with getting what you need by that time. 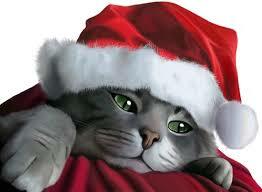 RE-OPEN on Tues, Dec 29 for regular hours. CLOSING at 2:00 on New Year's Eve Thursday, Dec 31. It's that time of year!! Spike's Treats will be closing today at 4:00. 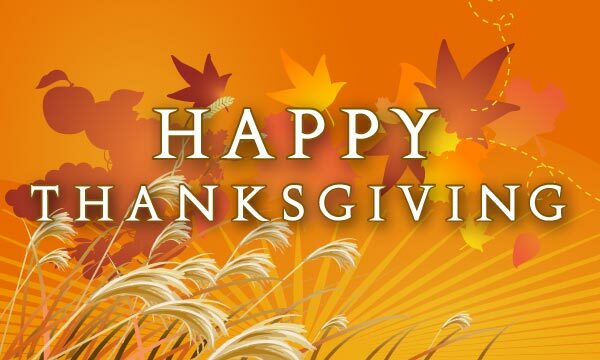 We will also be closed Thanksgiving Day. Please be sure to get everything you need before 4:00 today :). Watch for e-mail/social media announcement about BLACK FRIDAY SALES & SPECIALS..... and Happy Thanksgiving! !